A good gaming experience not only consists of a great gaming hardware but also great peripherals and a complimentary audio is essential for this experience. But why shall a great audio experience require an expensive equipment? 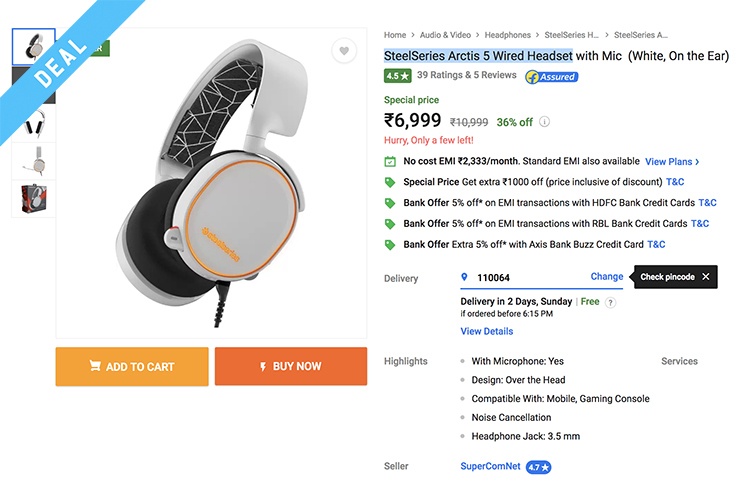 If you’ve been looking for a striking gaming audio experience, you can grab the SteelSeries Arctis 5 wired headset from Flipkart right now. The headset comes with a comfortable padded design and a retractable microphone, so prolonged gaming and other audio experiences are equally satisfying and enjoyable. 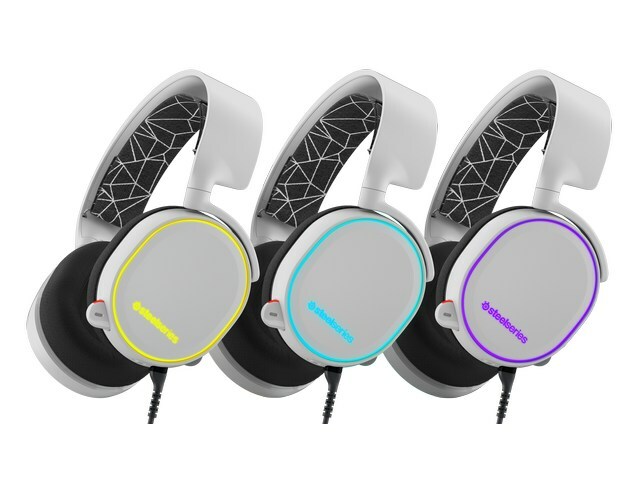 The gaming headset from SteelSeries can be brought for Rs 6,999 on Flipkart under a Gaming Fridays deal, which means a 36% discount on its MRP of Rs 10,999. It usually goes for around Rs 7,999 on online platforms, so you’re getting a rebate of Rs 1,000 or a 12.5% on the usual price, which is not bad at all. You can also avail EMIs at standard interest rates on the SteelSeries headset, including a zero-cost EMI from Bajaj Finserv. If you’re using an HDFC bank card for the EMI, you’ll get an instant discount of Rs 350, while using an Axis Bank Buzz credit card for the purchase will get you a discount of Rs 200. SteelSeries has taken utmost care of your comfort and along with the plastic headband, you get a flexible Velcro band, allowing you to adjust it. The overall design is midway between aggressive and subtle and looks very attractive, such that you would not feel out of place when in a public place while using the gaming headset. The SteelSeries Arctis 5 comes with dual connectivity options including both a 3.5mm and a USB connector. Behind the retractable mic, it has the volume dial. There’s another remote control along the USB cable which allows gamers to manage the volume of the in-game voice chat, although it doesn’t change anything when the aux cable is used. To increase the amount of action in your gameplay, SteelSeries also lets you control the RGB lighting on the earcups as well as create specific profiles and assign them to different games or apps. All of this on top of a great audio performance. So with all of these exciting features, the SteelSeries Arctis 5 is a great choice for anyone looking to intensify their gaming experience.